The Writing of J.Rocci: June 2017 Update -- Happy Pride! June 2017 Update -- Happy Pride! Delaney Bixby owns and runs his own barber shop, The Dapper Gentleman, which prides itself on offering an upscale grooming experience to a very select clientele in New York City. 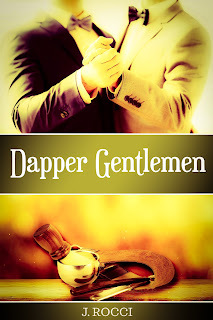 When Delaney is closing up shop one night, a special customer drops in for an after-hours shave that leads to slow dancing and professions of love.